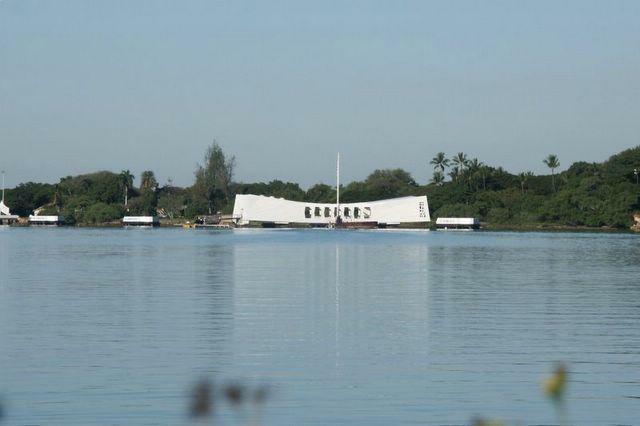 Arizona Memorial -- This memorial is for the men who died on the USS Arizona. The ship is clearly visible under the memorial. We couldn't make the trip because it was closed for repairs. If must be a touching experience to visit this memorial and imagine what happened here.